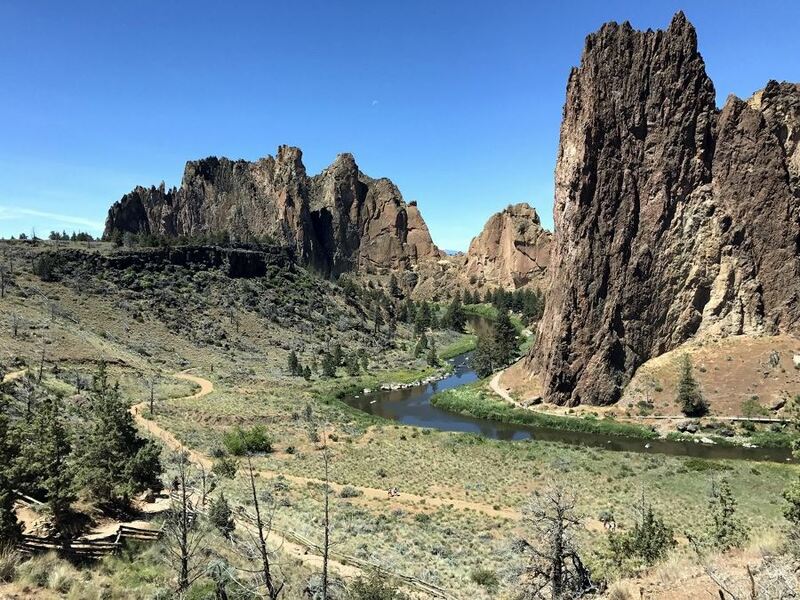 Hiking around the stunning Smith Rock State Park is popular for a reason! 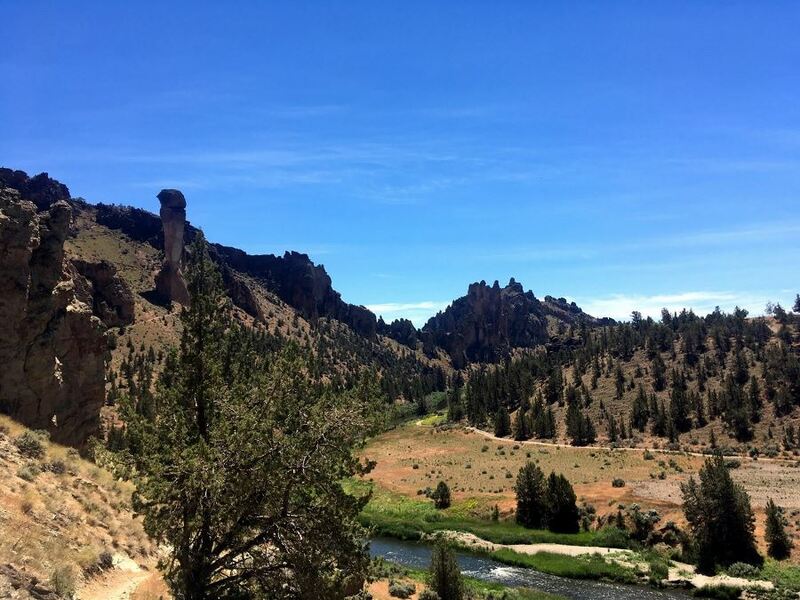 This wonderful trek near Bend circumnavigates the entire park and provides awesome views of towering cliffs and the beautiful Crooked River while avoiding crowds. Head north from Bend along US-97 for 38.6km. 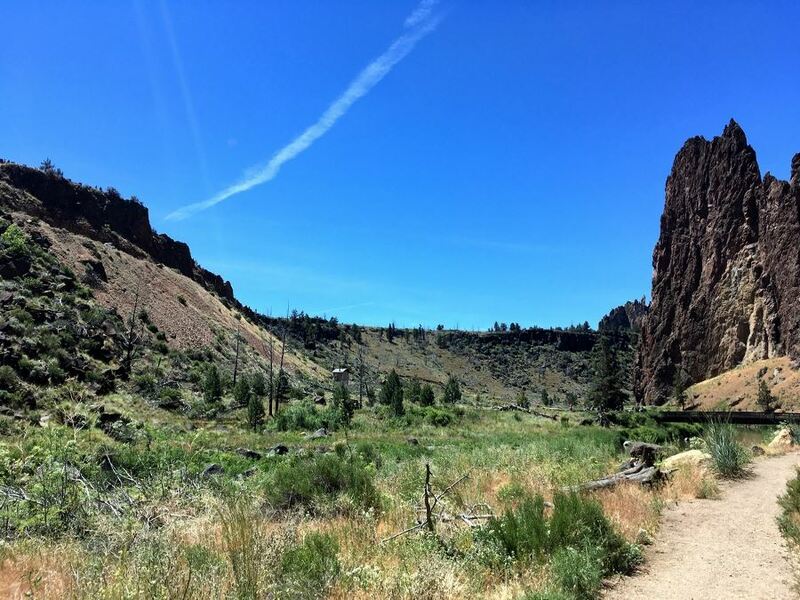 At Terrebonne, turn right onto Smith Rock Way, following signs for Smith Rock State Park. Turn left onto Lambert Road and follow this for 3.2km, before turning left onto Crooked River Drive. Park near the visitor center. From the visitor center, descend the Canyon Trail to the river. Cross the bridge and then turn right onto Wolf Tree Trail. 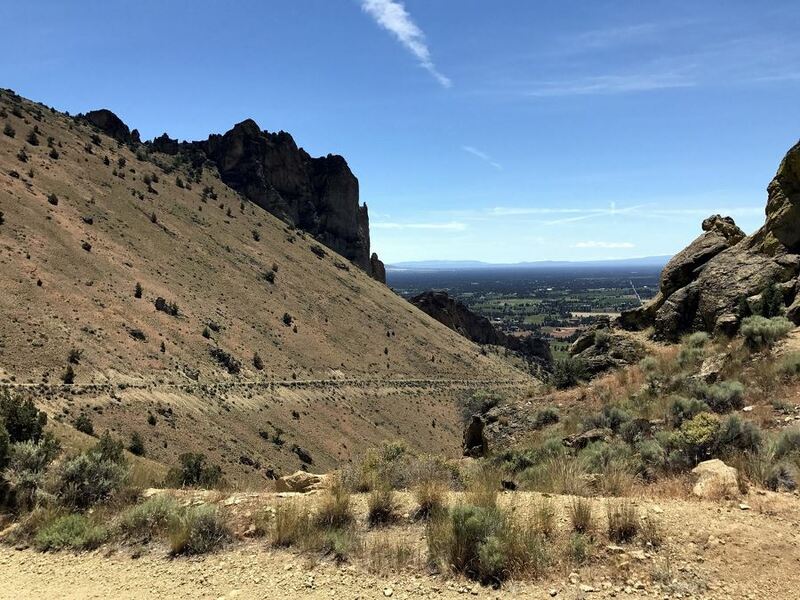 This first section of the trail can be very busy, but after a few minutes of hiking along the delightful single track beside the river, the crowds will thin and your smile will grow. 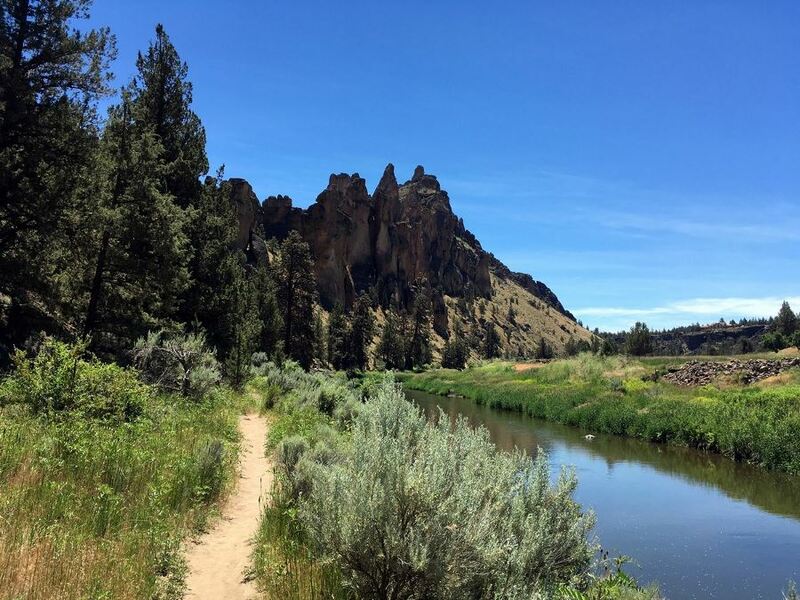 The trail remains flat and easy along the river, but we do advise that you look back frequently, as the views of the cliffs of Smith Rock are incredible. In less than a 1.6km, you will reach a junction where you will have to turn left onto the Burma Road Trail. This trail, which leads to an old Jeep road, is incredibly steep and loose, so take it slow. Once you reach Burma Road, you will start the main climb of the trip. Though quite well leveled, the road is exposed to sun for most of the day, which can make the climb feel super difficult. You will climb all the way up to the visible notch. After reaching the notch, take a well-deserved break and enjoy the view. To the northwest you will see Mt. Jefferson, and to the west are the Three Sisters. These incredible peaks are snow-covered most of the year and are a real contrast to the dry environment along much of the trail. Take the trail to the left of the road and descend the opposite side of the notch, switchbacking down a steep trail. After half a dozen or so switchbacks, the trail will straighten out and continue east. There are a number of spots that offer good views. Take advantage of these turnoffs to appreciate the grandeur of Smith. You will walk through a spare pine forest back to the Crooked River, rarely gaining elevation. Once you reach the river, the number of hikers will increase, and the scenery will become lusher. As it follows along the river, the trail doesn’t gain or lose too much elevation. Follow the River Trail, continuing straight at the two junctions back to the bridge. Cross the bridge and climb back up to your vehicle. 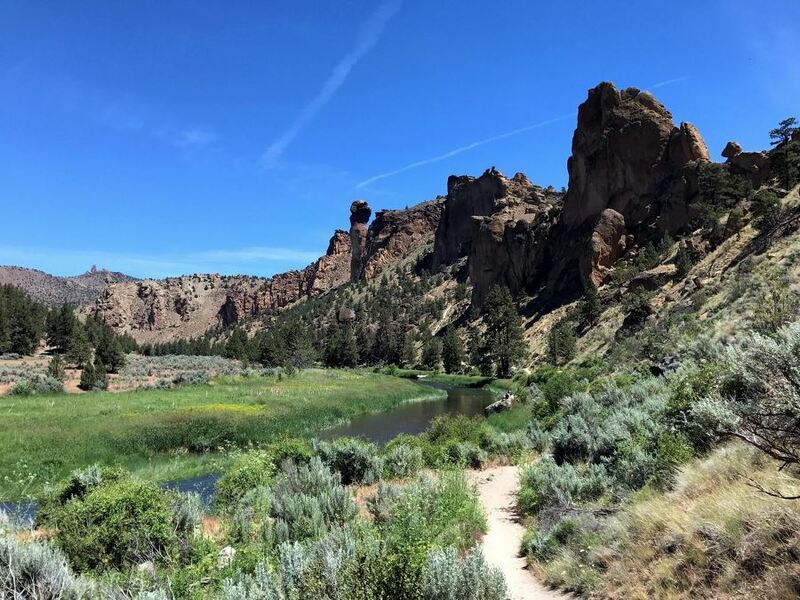 Smith Rock can get unbelievably hot during the summer months. Consider doing this hike either early in the morning or during the spring or fall. 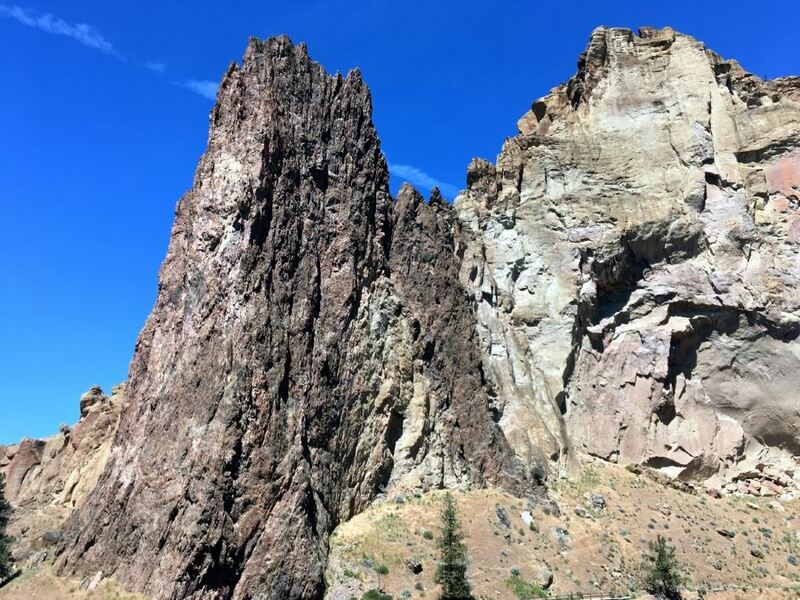 Smith Rock is a world-renowned climbing mecca. Hire a guide to experience this incredible vertical world in a whole new way. Don’t forget to get a parking pass, as day visitors need a permit.